We’ve been a little quiet here on the blog these past few months, but that’s because we’ve simply had so much going on that it’s become difficult to keep up. But we’re doing our best as always, and with that in mind here’s an update on some of the exciting developments at ABCD Concepts and, in particular, our Sporting Code project. Earlier this year, we were invited to join the Gess programs, which is a graduate support program for former alumni of the Raymond Ackerman Academy. The program is created as a support structure for graduates who are interested in starting new businesses or growing already existing businesses. For a period of 10 months, entrepreneurs are given resources and granted support to help them move their businesses in the right direction. So for us being part of the program was both a reflective and learning process where we had to look at our businesses and when and how we would like to continue to grow. 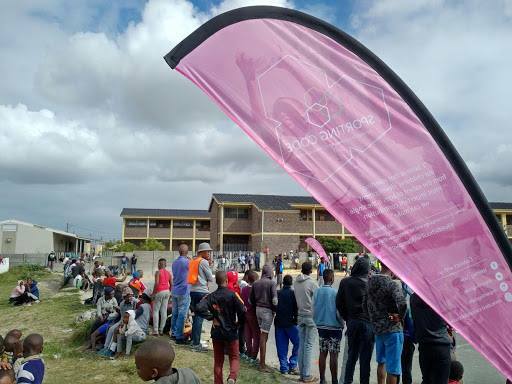 About two months ago we were approached by MBA students from UCT’s Graduate School of Business who were interested in Sporting Code/ ABCD Concepts. They had heard about us from a friend and decided to reach out wanting to know who we are and, better yet, what we are doing. Subsequent input from them has assisted us to successfully come up with a business model for Sporting Code and for ABCD Concepts, repackaging how we sell our business. Through this process we have been able to look at what we are doing in a different light and understand that we are more than just a business for social good – we also offer an opportunity for other businesses and brands to market themselves in our spaces. In June, we were approached by Velma Cocran from Airbnb, who had read about us in an article written by journalist Christopher Clark, and was interested to find out more. After our first conversation with her, we were already excited about the incredible opportunity that she was offering us. We are now going to be doing our very own tours and Khayelitsha experiences for tourists, in a lucrative partnership with Airbnb, one of the fastest growing businesses in the world. 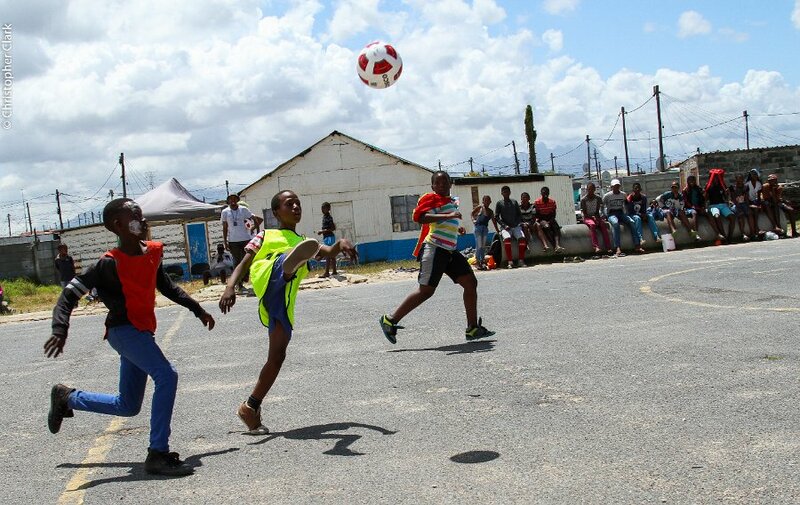 An equally valuable new connection has come in the shape of star Ajax Cape Town midfielder Mark Mayambela, who joined us for the 18th edition of our Sports Fun Day, where he donated netball kit and organized the soccer proceedings. Mark is himself a Khayelitsha resident, and we believe that collaborating with people around us in our own communities is the best way to grow what we are doing. We have now built an important friendship with Mark, and recently shot a video with him (coming soon! ), filmed by the Biggestleaf Social Development team, with a view to inspiring the youth in our communities. Aside from these exciting new partnerships, we have also been strengthening our existing relationship with other companies including SCORE energy drink. We have been working with SCORE for some months now, with them providing free beverages, prizes, branding material and equipment for all of our events. We have established trust with SCORE and they clearly see the benefits of investing in our business. With the year fast coming to an end, we are also proud to say that we’ve now hosted 19 tournaments to date, with every event getting bigger and better with the growing assistance we are getting from different businesses including Biggestleaf and SCORE. The Raymond Ackerman Academy has also been assisting us by sending volunteers on the day of the tournaments to come and assist. Chumisa Primary School have welcomed us from the very beginning and continue to allow us to use their facility. We are happy to see that as our events grow they are also indirectly creating a new networking platform for the increasing numbers of both participants and spectators to connect with one another, helping to unite our communities and help everyone to grow together. So it’s been a busy and positive year for us, and we’ll be looking to take the momentum into next year and beyond. So continue to watch this space!